Attorney Mehaffie offers her clients several options for how to handle a divorce, custody and support disputes. In addition to litigation and Collaborative Law, Attorney Mehaffie is available to provide neutral mediator services for families who want to resolve their disputes peacefully and without court involvement. Mediation is a private process that parties can use to resolve disputes without litigation. The mediator is neutral and does not represent either party’s position. The mediator will meet with the parties privately and listen to their concerns. The mediator will then help the parties reach agreements. The mediator does not tell parties what to do. Instead the mediator can help generate options and help the parties evaluate their options. If the parties reach any resolutions during mediation, the mediator can write a memorandum of understanding. Legal counsel for the parties can help the parties write a final legally binding agreement using the memorandum of understanding prepared by the mediator. Attorneys for the parties are not present in voluntary mediation sessions. Attorneys may be present in some court ordered mediation sessions. Unfortunately, Pennsylvania family courts are overwhelmed with many cases and clients do not always get the results they are seeking by litigating their family law cases. Litigation can be expensive, prolonged and emotionally draining. Mediation provides a less expensive option for families to address their divorce, custody and support disputes privately and without court. Often times mediation can help parties resolve their disputes in a rather short period of time. Individuals who are able to sit down peacefully with their spouse and address their disputes in a forward looking manner should seriously consider mediation as a means for resolving their family disputes. 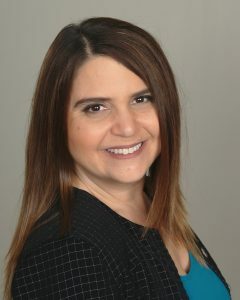 Attorney Mehaffie is a trained mediator and enjoys helping families resolve their disputes privately.